Million dollar Neighborhood! 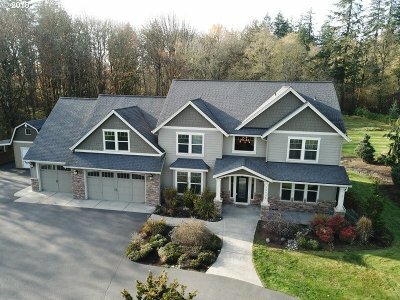 Estate Style Living- 3700 sqft, 4 Bedrooms, den/office, bonus room, 3 car garage with bathroom, sauna and lots of storage. lot is an amazing flat 5 acre parcel. Beautiful territorial views including MT St Helens and Mt Adams. Home is located close to Freeway access and the Clark County Fair Grounds. No HOA's lots of room for toys, high speed internet and good Cell service.